Shoulder tendon injury. 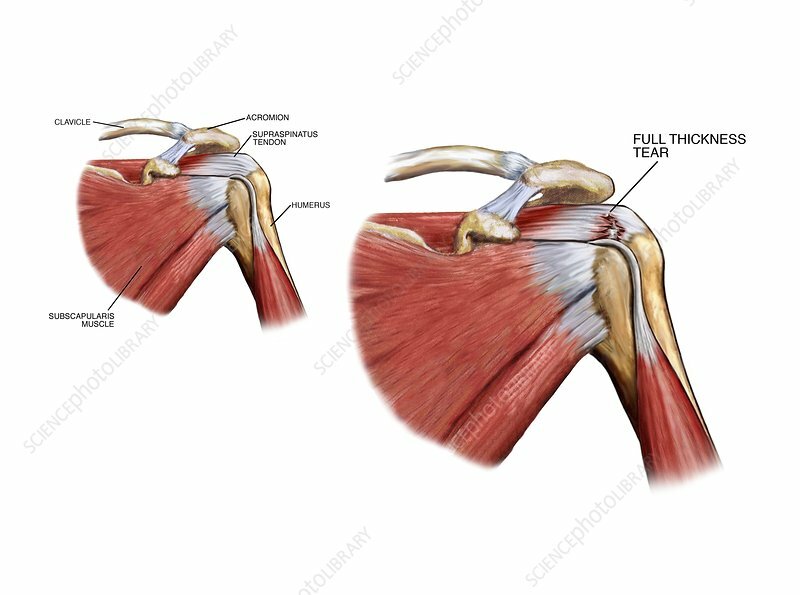 Labelled artwork (right) of an anterior (frontal) view of an injury to a shoulder tendon forming part of the rotator cuff. The normal shoulder and rotator cuff is shown at upper left. The main artwork shows a full-thickness tear of the supraspinatus tendon, the tendon which attaches the supraspinatus muscle to the head of the humerus (upper arm bone).